Each month, a new interview featuring a member of the Bucknell Institute of Public Policy (BIPP) Advisory Board will be posted on the official blog of BIPP. For the month of January, the interviewee is Cynthia Mason-Posey, a Sociology and Political Science double major and graduate of the Class of 1978. 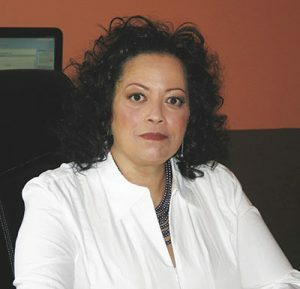 Cynthia Mason-Posey is a member of the BIPP Advisory Board, as well as the deputy director of the U.S. Department of Veterans Affairs’ Office of Small and Disadvantaged Business Utilization. After serving in the active duty Army, Army Reserve and National Guard for over three decades, Mason-Posey established her passion for servicing her fellow veterans in joining the Maryland Department of Veteran Affairs in 2011. Mason-Posey’s current role as a deputy director has enabled the success of countless scores of veteran-owned and service-disabled veteran-owned small businesses, as well as the continuing education of veterans aspiring to do business with the Veteran Affairs’ Office. 1. What do you enjoy most about being a BIPP Advisory Board member? I enjoy the opportunity to work with students across various curricula who are interested in public policy. It provides the prospect for two-way learning. Students interested in careers in public policy gain insight from alumni working in the field and alumni discover ways to leverage new technology. 2. What inspired you to enlist in the army? Was that a course in life that you had always seen yourself pursuing? I was assigned as a supervisor in a data processing unit under a rotational management program. I wanted to pursue a career in what was then the data processing field, but I needed training. I enlisted in the Army in 1981 to get that training, and I ended up staying until my retirement in 2012. Before then, I had not considered a career in the military. I’m proud to say that my dad was an Army retiree and both of my brothers also served. 3. How does your past experience in the military influence your role as a deputy director at the U.S. Department of Veterans Affairs’ Office of Small and Disadvantaged Business Utilization (OSDBU)? The latter part of my military service involved taking care of deployed soldiers of the Maryland Army National Guard and their families. After retirement, I volunteered with organizations working to improve the lives of veterans. My role as deputy director allows me to lead outreach and education initiatives that increase veterans’ access to benefits and services. 4. Can you talk a bit about what your duties are as deputy director? The OSDBU Strategic Outreach and Communications department assists veteran-owned small businesses to become procurement-ready and to access business opportunities in the federal government. I oversee communications campaigns, websites, social media, and the development and delivery of education and training modules. 5. In addition to BIPP, you’re a member of the Black Alumni Association Board. What inspired you to join this Board, and what is your experience like as one of its members? I served as the president of the Black Alumni Association Board (BAAB) for over five years and I am currently a board member. I was inspired to join the Board to increase the involvement of Bucknell alumni of color and to improve awareness of the Edward McKnight Brawley Fund. Dr. Brawley was the first African American Bucknell graduate. At Homecoming 2015, the BAAB was instrumental in hosting Bucknell 140 to celebrate the 140th anniversary of Dr. Brawley’s graduation in 1875. Eleven members of his extended family were in attendance. In May 2017 a bust of Dr. Brawley was installed and dedicated outside of the Vaughn Literature Building. 6. What were your majors at the University, and why did you major in these subjects? I double majored in Sociology and Political Science. In high school I wanted to become an attorney. By my sophomore year, I realized I was very interested in the political landscape and had developed a commitment to public service. During my years at Bucknell, I did several internships at the Women’s Lobby, Inc. and the National Council on Women, Work, and Welfare in Washington, DC. 7. Were you in any clubs or organizations at the University? I was a member of the Bucknell University Choir, the Black Student Union, Amicae – dedicated to achieving equal rights for women, and during my freshman year Women’s Track and Field. I ran 80-yard low hurdles, and high jumped for four years in high school, but I had a short track and field career at Bucknell when the coach decided I should become a distance runner. 8. What do you remember most about your time at Bucknell? I attended Bucknell in the 1970s when there was little diversity on campus among the student population and the faculty. In 1971, Dr. Richard Smith, English professor became the first African American tenure-track faculty member. There were 120 students of color on campus when I graduated in 1978. I was fortunate to live in Seventh Street House, which was an oasis in a culturally starved land for two years. Although I lived in Harris Hall my other two years, I chose to spend much of my time with students who looked like me at Seventh Street House. ade many life-long friends at Bucknell. My “Big Sister” and I are still sisters today. 9. What advice would you give to students who currently attend the University? Bucknell provides opportunities and hands-on experiences that students won’t find at many other liberal arts institutions. I encourage current students to take full advantage of everything offered. I recommend they identify an alumnus who can serve as a sounding board while they are on campus and as a mentor after graduation. I am proud to say that the institution has a commitment to diversity and inclusiveness under President Bravman and I see the changes when I return to campus each year. I am a Bertrand Society member and often recommend Bucknell to rising high school juniors and seniors.